Now, the Blu Salt Company has a wallet that’s not only stylish but yet useful as well. 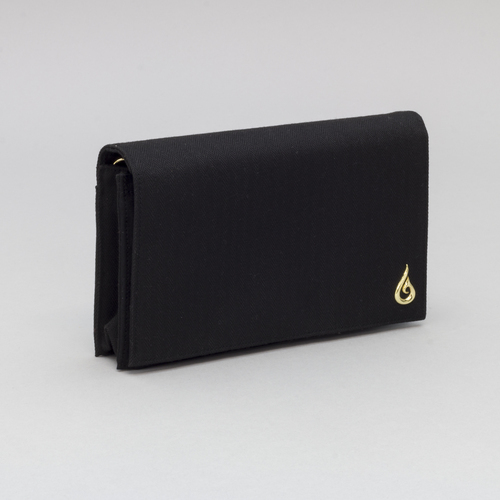 It’s called the Rama Wallet , and comes in black & gold or black & silver. Plus, it has its own reusable lunch bag to protect the clutch during shipment along with a lovely, blue satin bag for when your wallet is not in use. Eligibility: Winner must be located in the USA. Disclosure: Howdy everyone, I just wanted to inform you that Night Helper was not compensated for this post. However, She did receive a product from the company below and the opinions expressed in this post are 100% her own. I am disclosing this in accordance with the FTC guidelines. All prize fulfillment will be provided by Sponsors.